The Mega India Pakistan Semi Final cricket match is now less than 24 hours away. Literally, every person I am talking to is super excited about it. It so big that many corporates have even gone ahead and given a half day Holidays (and in some cases full day). Billions of people in India and across the world will be watching this match. There are no stadium tickets remaining even for VIPs, and the tickets are getting sold 25 to 50 times their original prices! The remaining 2-3 CWC matches are literally a goldmine for broadcasters – ESPN Star Sports must be over the moon with the kind of TRP ratings and reach all the matches have been getting. Take this – ESPN Star Sports had initially priced the matches at Rs 3-4 lakh per 10 seconds (which in itself is quite an amount). But, the way things have gone, this price has increased in multiples. But the question is whether it is worth? According to me, if an advertiser is willing to pay that kind of money, I am sure it is. What better platform to announce a launch of a new product or even simply to spread brand awareness to millions of viewers. Literally, every 2nd Indian will have his eyes glued to the TV during the India Pakistan clash. However, I have always had this question in my mind – During such high adrenaline games, does anyone even see or remember anything else other than the actual sport ? I tried thinking about any ad that I remember during the matches and I could not recollect any, except probably zoozoo Ads, and that too because zoozoo ads are very creative and you enjoy seeing them. So what is your opinion ? Are such humongous Ad rates justified ? "WoW ! 10 second Ad costs Rs. 35 Lakh for Cricket World Cup Matches...", 5 out of 5 based on 1 ratings. How much is Social Media for real? 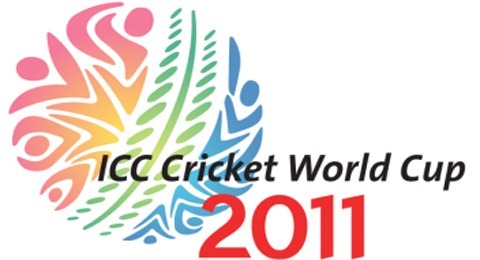 ICC World Cup popularity goes past IPL-mania! Consider a advertiser will need 200 seconds totally. Again imagine among 85 crore 60 crore are able to spend (most of the cricket buffs will have enough pocket money). Among 60 crore imagine 60% are recalling the ad. So, again among those 60%, 20%(minimum) are ready to buy the product. So, 20% = 7.2crore people and 7.2crore people * 30rs = whopping 216 crore. This is a basic math and in reality not only 20% of recalling buyers are buying and 30 rupees are not the margin. If it is low priced product, it is sure that 70% of recalled buyers will try the product even once.